Almost 3 years ago my best friend was pregnant with her second baby girl, and as a photographer I asked her if she would let me photograph her new baby. Of course she said yes, the image on the right above is that session. I had never photographed a newborn before, but I honestly thought “How hard can it be?” Well, that session took about 8 hours and two days to get a full gallery, and afterwards I really never thought I would photograph a newborn again; it was way harder than I could have possibly imagined. I had read tips on forums for photographers, so I knew some of what goes into a newborn session, but it was still incredibly difficult to put it mildly. For most of my clients that have never had a newborn session, they really aren’t aware of the work that goes into one, and the patience and determination it takes to create the kind of images like the one on the left. Almost every Mama I get to meet, comments on how patient I am, and that they can’t believe I can get their new baby to do this or that, and how I can do all of this while keeping their newborn calm and asleep. The dramatic difference between the image on the left and the image on the right, besides 3 years, is all the training and education and practice that I’ve dedicated to learning this craft. That first newborn session, I honestly cringe when I look at it; the image isn’t properly exposed, the blanket was just an all-around terrible choice, the posing is sub-par, I could go on. I have joked to my friend that she should have another baby so I can provide her with the kinds of images that fill my portfolio now. I firmly believe in the importance of documenting our children’s lives, even before I was a photographer I took tons and tons of photos of my little boy. I think the importance of documenting your newborn is even greater, because they’re only tiny, and sleepy, and new for such a small time. With every day that passes those first weeks and months of a baby’s life, they change and they grow. And the truth is, those first weeks become a blur of diaper changing, feeding, trying to sleep whenever you get the chance because you may be up all night, and before you know it you can’t remember how tiny their hands were, or their squishy little cheeks, and all the other little details. I know it seems like it should be easy enough to photograph your own newborn, or have your friend who has the fancy camera do it, but what it ultimately comes down to is in 5 years would you rather have the image on the right or the image on the left hanging in your home? Because the honest truth of it is that it isn’t the fancy camera I have that takes beautiful images of my clients newborns, it’s me, and the skill set I have worked very hard to develop. And lastly, I know if you’ve read my blog before I tend to go on and on about it, but the safety of your new baby should be the most important aspect of why you should hire a professional, with the proper training and knowledge of posing and working with newborns. So hello to Boston! This little guy is not only absolutely adorable, he was a perfect angel for our newborn session. He slept pretty much the whole time! 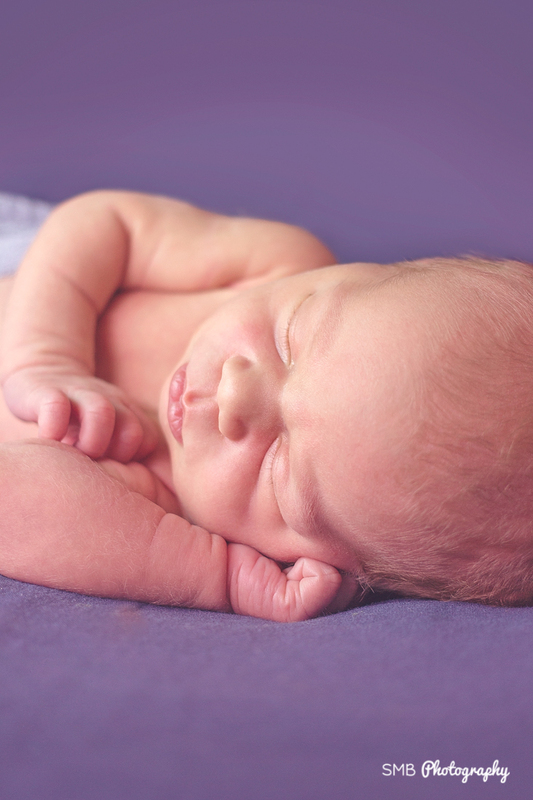 If we're being honest, there's not anything cuter than a brand new baby! They smell delicious, have the cutest little lips and fingers and toes, I could just eat 'em up! Big Congratulations to Mom, Dad, big Brother, and Sister! Contact Me to schedule your newborn portrait session!